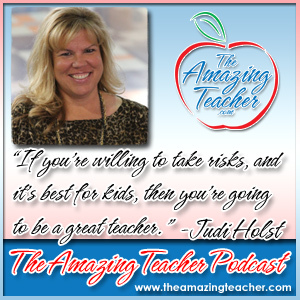 This week, my guest is Judi Holst from TBD Teacher. Judi is an 8th grade teacher who shares her teaching tips on her Tumblr blog. As I mention in the podcast, most of my career was spent teaching 8th graders, and as any 8th grade teacher will tell you, 8th graders are a unique group of students who fill our lives with adventure every day. 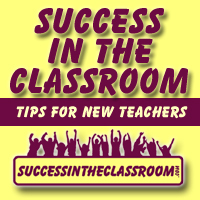 Judi offers some amazing advice on how to make teaching 8th graders exciting and engaging. Judi encourages new teachers not to try and do it all, but to find another teacher who can help with ideas and planning. She shares that amazing teachers are passionate and are life-long learners. Judi spends the first few minutes of each class just talking with the students about their lives, which she sees as a valuable investment of class time that will pay off throughout the year. I had an amazing time talking with Judi. We could have gone on for hours just sharing middle school stories. Even if you don’t teach middle school, I know you will find Judi’s advice very valuable. Thank you again for spreading the word about the podcast. Original designs. Click to get yours.